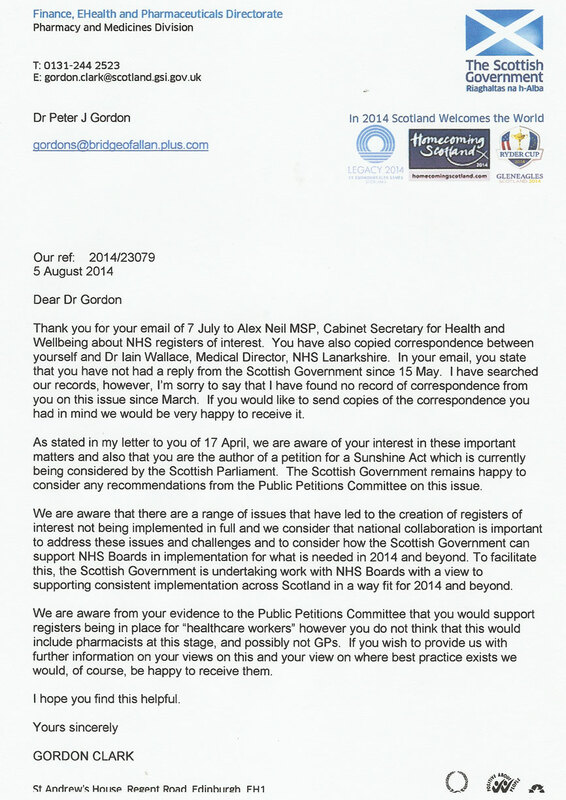 Thank you for your email of 7 July to Alex Neil MSP, Cabinet Secretary for Health and Wellbeing about NHS registers of interest. 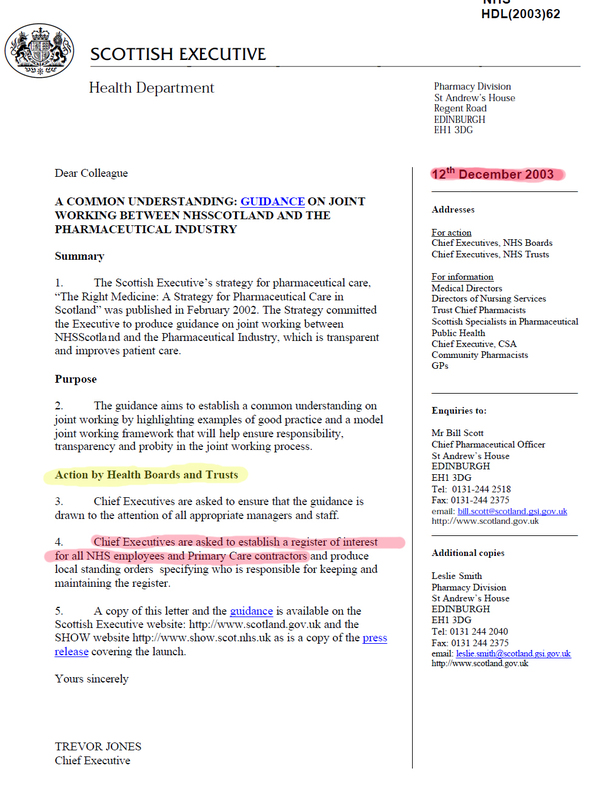 You have also copied correspondence between yourself and Dr Iain Wallace, Medical Director, NHS Lanarkshire. In your email, you state that you have not had a reply from the Scottish Government since 15 May. I have searched our records, however, I’m sorry to say that I have found no record of correspondence from you on this issue since March. If you would like to send copies of the correspondence you had in mind we would be very happy to receive it. As stated in my letter to you of 17 April, we are aware of your interest in these important matters and also that you are the author of a petition for a Sunshine Act which is currently being considered by the Scottish Parliament. The Scottish Government remains happy to consider any recommendations from the Public Petitions Committee on this issue. We are aware that there are a range of issues that have led to the creation of registers of interest not being implemented in full and we consider that national collaboration is important to address these issues and challenges and to consider how the Scottish Government can support NHS Boards in implementation for what is needed in 2014 and beyond. To facilitate this, the Scottish Government is undertaking work with NHS Boards with a view to supporting consistent implementation across Scotland in a way fit for 2014 and beyond. We are aware from your evidence to the Public Petitions Committee that you would support registers being in place for “healthcare workers” however you do not think that this would include pharmacists at this stage, and possibly not GPs. If you wish to provide us with further information on your views on this and your view on where best practice exists we would, of course, be happy to receive them.